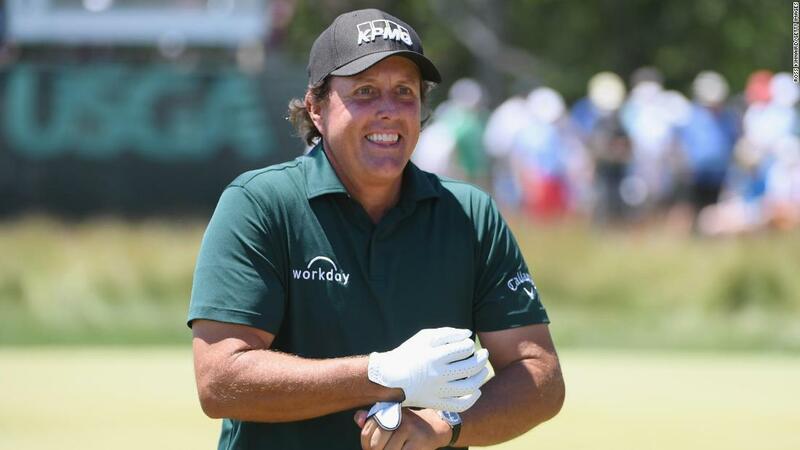 Phil Mickelson was at the centre of an extremely controversial incident on Moving Day when he ran after his speedy and wayward putt on the 13th hole and slapped it back towards the cup while it was still rolling. The southpaw, who was already four-over on the day and 14 shots back of the lead prior to the incident, incurred two strokes for breaking Rule 14-5 and took a sextuple-bogey 10 on the hole, but was not disqualified. After the round, Mickelson clarified that he knew the penalty for hitting a ball before it had finished rolling was two strokes, and that he viewed the penalty as a better outcome than having to hit his shot from, what would have most likely been, the fairway. “I’ve thought about doing the same thing many times in my career,” Mickelson said. “I just did it this time. It was something I did to best take advantage of the rules as best I can.” That explanation, and the USGA’s ruling, did not sit well with a number of Lefty’s colleagues, who felt that Mickelson should have been disqualified for breaking Rule 1-2 which bars a player from intentionally trying to stop or move a ball in play. Shinnecock Hills proved to be a brutishly difficult test for every single player that competed in the 118th US Open. Blustery conditions, thick rough and firm greens all combined to make scoring nearly impossible on the iconic track, and that carnage was on full display in the opening round when the field combined to make 200 double bogeys or worse and shoot a staggering 1009 strokes over par. Only five players — Dustin Johnson, Scott Piercy, Ian Poulter, Russell Henley and Jason Dufner — managed to post scores of even par or lower on Thursday, while an astounding 29 players shot rounds of 80 or higher. Some of the biggest names in the sport took a thrashing in the opening round, including Tiger Woods, who opened his week with a triple bogey on the first hole en route to a first round score of 78. The featured trio of Rory McIlroy, Jordan Spieth, and Phil Mickelson did not fare any better than the 14-time major champion in the opening round, as they combined to shoot 25-over par. McIlroy, in particular, had a notably rough debut at Shinnecock, recording five bogeys and three doubles in his first 11 holes. Prior to the U.S. Open, Ian Poulter posted the following video, showing how thick the rough was at Shinnecock and emphasizing the importance of staying out of it at all costs. Poulter heeded his own advice through the first 34 holes of the tournament, hitting all but four fairways to stand alone in second place at 2-under par. However, the Englishman’s strategy was dashed in a heartbeat on the 17th hole on Friday when he skulled a greenside bunker shot over the green into a sketchy and unkempt area of the golf course. 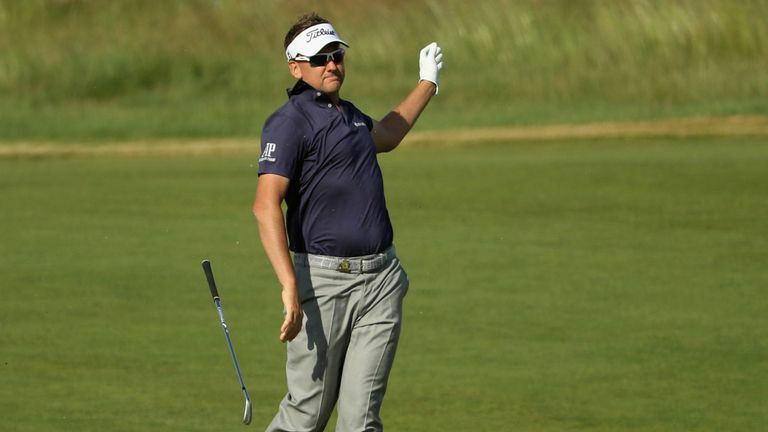 Poulter attempted to recover with a delicate flop shot but flubbed it, sending his ball directly into some of the gangliest rough on the entire course. The 42-year-old only managed to advance it a handful of yards from there, and then still needed another chip to get the ball up onto the green. Fortunately, he one-putted to escape the hole with a triple-bogey. Truthfully, there were so many bad breaks at Shinnecock last week that we could devote an entire Shag Bag to them alone. But, Graeme McDowell’s awful luck on the 2nd hole on Thursday stands out as the most unfortunate of the lot. 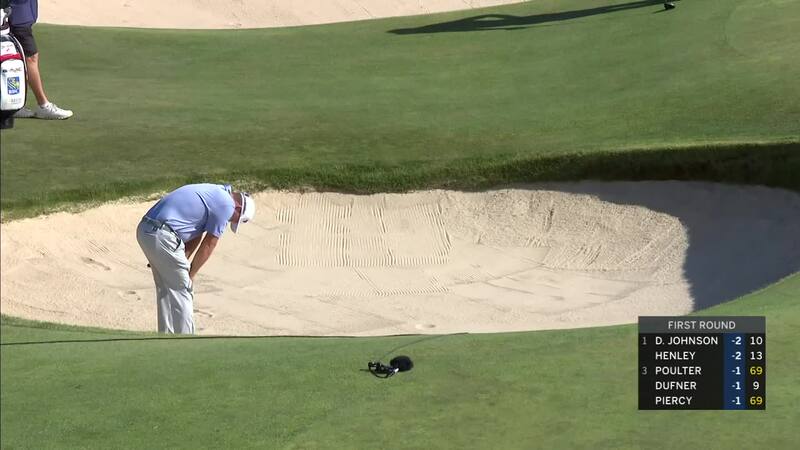 Already struggling mightily to the tune of six-over par through 10 holes, the Northern Irishman hit what appeared to be his best shot of the day out of a deep greenside bunker. 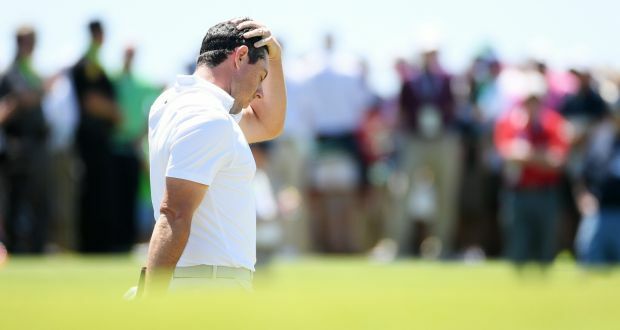 Unfortunately, his ball hit the flagstick squarely and deflected right back into the bunker where he was standing, which caused the 38-year-old to break out into laughter before hunching over in misery. Despite all of the carnage, there were some truly spectacular shots at Shinnecock Hills last week. Brian Gay nearly made an ace in the opening round on the 7th hole when his tee shot from 184 yards slowly burned the edge of the cup. Later that day, South Africa’s Dean Burmester hit two of the best shots of his life on the 18th hole: a drive that went 411 yards and a hole-out for eagle from 104 yards that slam dunked into the cup without a bounce! Jimmy Walker got an eagle hole-out of his own on Friday afternoon when he jarred a 170-yard approach shot from a fairway bunker on the 4th hole. And Tommy Fleetwood, who tied a U.S. Open scoring record with his 63 on Sunday, sunk this long-distance bomb on the 2nd hole on Friday from 42 feet. Incredibly, the Englishman one-upped himself on Sunday with this dagger from 56 feet!